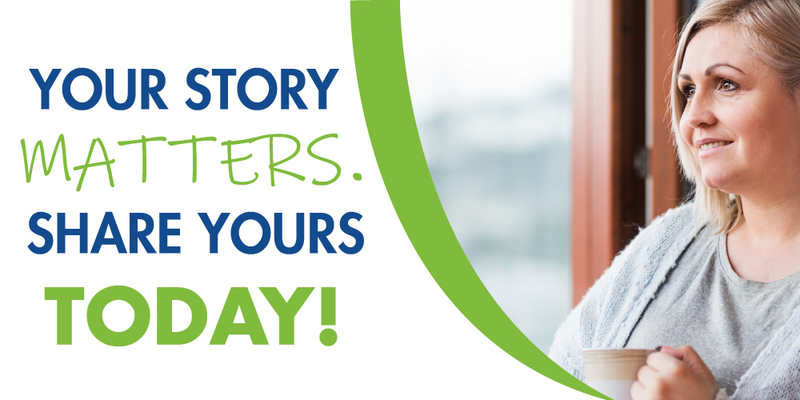 Your Story Supports and Empowers: Start Sharing it Today! No one can tell your story better than you can! Story-sharing is a powerful act that touches, inspires, teaches, challenges, heals and empowers. Our collective stories bring us together and unite us in what we’ve gone through and experienced. Our stories not only shape who we are, but can also shape the lives of other people who hear them in many different ways. How has weight affected your health/everyday life? How has your journey with weight shaped your life experiences? What obstacles have you overcome? What successes have you had? What paths have you taken to manage your weight? What helpful words could you offer someone else on a similar journey? Find, use and grow your powerful voice! Share Your Personal Story Today! Ready to share? It’s easy with OAC’s Weight of the World initiative – a powerful video collection platform that lets you upload your story to a safe and secure online portal in the OAC Community. Weight of the World is a place where you can be as real, honest and truthful as you want to be about your journey with weight while allowing your stories to connect with other people. While the primary goal is to provide support for others living with obesity, we also know it has the power to help others understand that obesity is a real disease affecting REAL lives! And When You Share….You Could Win! To harness the true power of story-sharing, we need to grow the Weight of the World Video Library! Share your story today and help us get more eyes on this powerful project. Individuals who submit a video story by Tuesday, April 30, will also have the chance to win one of FIVE $25 Amazon Gift Cards as a special “Thank You” for sharing their personal story and contributing to Weight of the World. Need Financial Assistance to Attend YWM2019? Apply for a Scholarship!